Wall-mounted mirror television with minimum installation required allows you to integrate a functional and versatile solution. 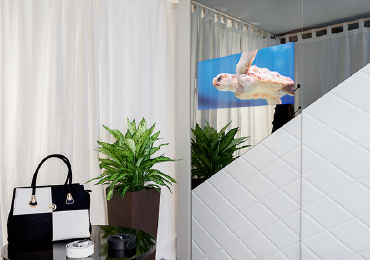 Mobile self-standing mirror TVs that rest on the floor or extendable wall-mounted versions that can be tilted in any direction in order to watch TV from different parts of the room. Need something more specific? If you’re looking for special creation, need to create a custom wardrobe with a built-in mirror TV or turn any other of your ideas into reality, this is your solution. Whether you need a small mirror or one that covers an entire wall, we have a solution that fits your space. We work with monitors that range from 32” to 75”. Choose the TV that best fits your mirror. * The minimum size of the mirror depends on the size of the TV screen. Decide where you want to place the screen. Different positions are recommended depending on the location of the mirror TV and the purpose of the room. All our designs are customisable. 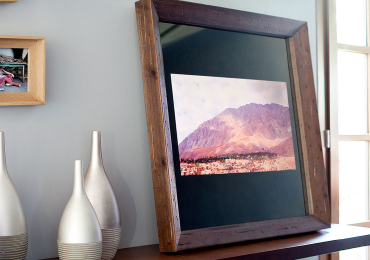 Mirror TVs can work with a frameless mirror or with the frame of your choice. Special creations can be made with an endless range of finishes and details. You will always find the design that fits your project. Depending on the geographical area, our mirror TVs will be installed by our own installation service or by a specialised team we select. Any problem that you might have once the TV is installed will be handled by the TV brand’s technical service. 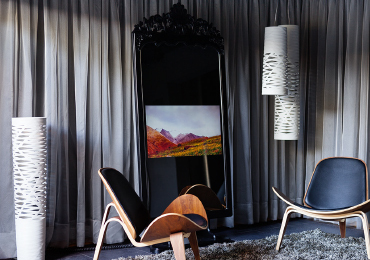 The quality of Oculting mirror, with its smoky tonality obtained through the latest technology, represents a great evolution in common mirrors since it allows polarization, creating the mirror effect and screen viewing when the technology is connected. Just like a TV or projector, the most ideal lighting to see images and contents in a TV Mirror is a soft and subdued ambient light. It is convenient to be able to filter the natural light that penetrates the room through the windows with curtains, blinds or, even, to be able to lower the blinds if the daylight is too intense. Both artificial lighting and sunlight, in general, should be adequately treated to minimize reflections in the glass when the screen is connected, especially in bright environments. The optimal viewing distance with respect to the size of the device is in relation to 50/80 cm for every 10 inches of screen. In this way, for its correct visualization in long periods, without tiring the eye, a 40″ screen should be placed between 2 and 3.2m away and a 60″screen, for example, between 3 and 5.6 meters.